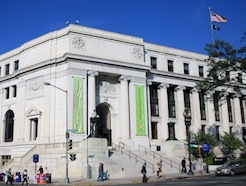 The American First Day Cover Society’s pre-Americover tour will include special presentations at the National Postal Museum. Americover 2016 will be held in Falls Church, Va., August 19-21, just outside Washington, D.C. On the way to the museum, the bus will drop participants off at the National Mall for several hours to see whichever monuments and museums they choose. At the NPM, former National Park Service interpretive planner Paul Lee will present a special Sundman lecture, "Parks, Postmarks, and Postmasters: Post Offices Within The National Park System.” The program combines real-life drama and human interest.This year is the centennial of the National Park Service. 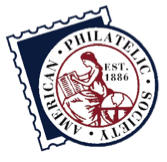 The Maynard Sundman lecture series at the Museum features talks by authors and expert philatelists on stamps and stamp collecting. Lee has worked at parks in the U.S., American Samoa and Northern Mariana Islands. After lunch, NPM Chief Curator Daniel Piazza will give a guided tour of “Trailblazing: 100 Years of Our National Parks,” followed by a tour of the rest of the facility. Members of the group will have a chance to see their own cachets in the Owney the Postal Dog FDC exhibit. "This tour gives our members both a chance to explore some of Washington’s most famous sites and to attend a private tour and lecture at the National Postal Museum,” said Chris Lazaroff, chair of Americover 2016. There is also a Sunday evening event involving dinner; this year, it will be at P.J. Skiddoos, a local restaurant favorite. There is a special Americover room rate of $99 at the Falls Church Marriott Fairview Park Hotel, which includes Wednesday and Sunday nights. There also will be two bourses (commercial dealers and cachetmakers) at the show, a banquet, meetings, a youth table, a hospitality suite, live and silent auctions, seminars, a dedication ceremony on Sunday for the Soda Fountain Favorites stamps, and a forum by a postal official involved with first day covers.